DR. SANJAY GAIROLA was born in Chandigarh, India, in 1968. 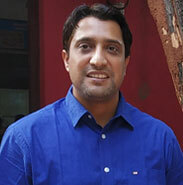 He received the BE degree in Electrical Engineering from the MNNIT(formerly known as Motilal Nehru Regional Engineering college(MNREC)), Allahabad, India, in 1991, and the M.Tech and Ph.D degrees in Electrical Engineering from the Indian Institute of Technology (IIT), Delhi, India, in year 2001 and 2008, respectively. Dr. Gairola has published more than 55 papers in international and national journals and conferences of repute. He is having two patents to his credit. He received the prestigious Indian National Academy of Engineers (INAE) award for innovative research work done in the year 2009. He is also a Life Member of Indian Society for Technical Education (ISTE) and reviewer of IEEE journal research papers. His field of interest includes power electronics, electrical machines and drives with a main focus on power quality improvements techniques. It gives me immense pleasure to welcome you to the department of Electrical Engineering (EE) of this prestigious institution. The department of Electrical Engineering (EE) is a major department of Galgotias College of Engineering & Technology that imparting knowledge for nation building. Excel as professionals in Power Systems Engineering and allied areas, by building upon the design and problem-solving skills acquired through their studies. Develop and implement innovative solutions in technical fields such as Renewable Power and Energy Efficient Systems, Power electronics, Robotics and embedded systems, artificial intelligence and Communication. Pursue post-graduate learning opportunities including advancement studies, professional trainings. Combine technical knowledge, team-work abilities, and communication skills to excel professionally in culturally diverse environments. Increase the number of new innovative ideas in latest fields such as Electric Vehicles and Solar Power.